The use of Wi-Fi router at home allows you to connect multiple devices to the Internet using a single contract with a provider. In addition, you can configure the Internet access on smartphones and TVs with the Smart TV. The most important thing to do when choosing a Wi-Fi router, determine the type of Internet connection that you will use. Currently, there are two main kinds of wired connections: DSL and LAN. Channel DSL involves the use of telephone lines for Internet access. Typically, this type of connection is used in private houses and other places where there is no connectivity broadband. More common is a LAN connection. In addition, Wi-Fi router can be configured to work with different 3G modems. Note that there are Wi-Fi routers of mixed type. A common example of this device is the Zyxel keenetic 4g. To this model it is possible to connect a cable broadband access, LAN and USB modem. Additionally, this router supports 4G. Another important characteristic is the number of LAN ports. This depends on how much desktop you can connect to Wi-Fi router. In most devices, number of LAN outputs varies from 4 to 5. Sometimes you can find models with two ports. If you want to connect, for example, 2 computers and a TV, be sure to pay attention to the presence of the required number of outputs. The power of the transmitter is not less important parameter. It is worth noting that the number of antennas in a Wi-Fi router is not connected directly with signal strength. This characteristic is usually specified by the manufacturer and is measured in dBi. Choose a router with a high signal level if you use it in large spaces such as cottages. Often, the signal level can be improved by replacing the regular antenna more powerful counterpart. Usually they just Unscrew from the housing Wi-Fi router. Remember that the number of antennas in the router affects the speed of transmission of information. 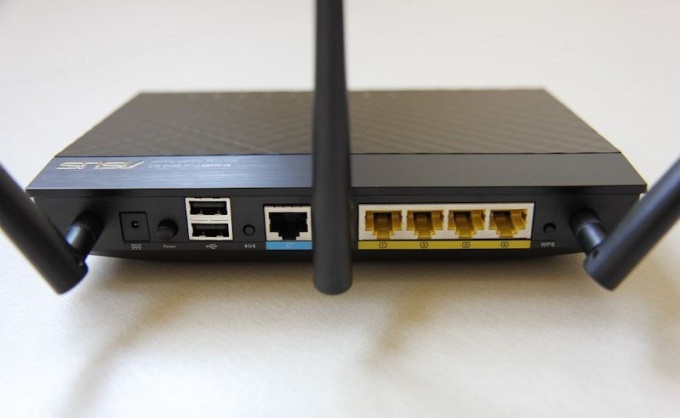 If you connect a large number of devices to a Wi-Fi router, stop the choice on hardware with two or three antennas. Certain models of Wi-Fi routers support the mode of reception of the wireless signal. Ie you will be able to connect the router to the already established Wi-Fi network and share an Internet connection via cables for desktop computers and TV. This technology is called WISP. More advanced models, such as Asus WL-320gE, can both take and give the Wi-Fi signal, i.e. to operate in repeater mode.